metaphor frame templates using a semi-supervised bootstrapping approach on an unlabeled corpus? The goal of our work is to lay a computational foundation for detection of such switches so that social strategies regarding metaphor use in interaction can be accomplished as follow-up work. 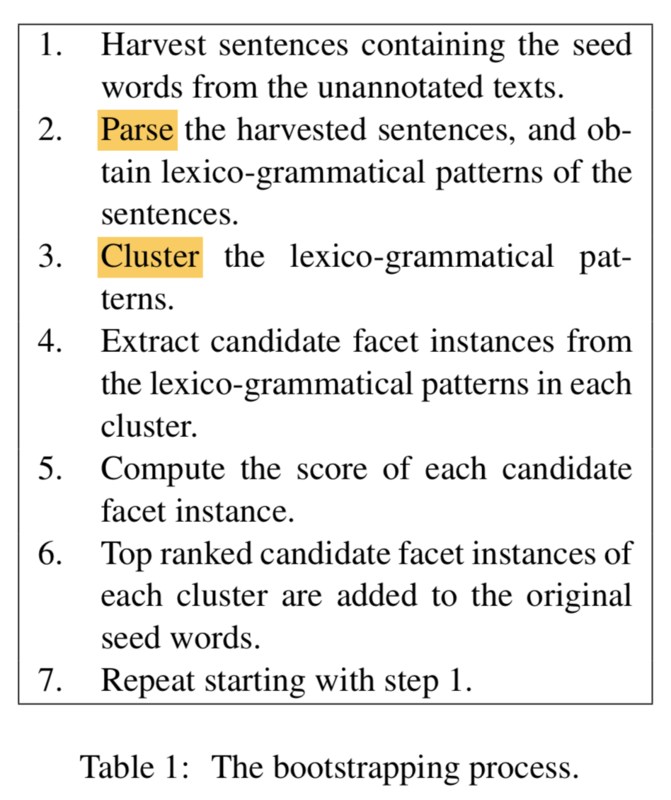 Lexico-grammatical pattern: the shortest path that passes through the ROOT in dependencies between the domain name and seed facet instances.